Cary Hiroyuki coming back for Shang Tsung? RE: Cary Hiroyuki coming back for Shang Tsung? Now THAT would be awesome! As much as I’ve seen the Van Damme as Cage stuff floating around here and elsewhere, this one would get me legit hyped. I see what you’re saying about the lips, not so sure about the nose, but who knows. I like the idea! I also feel like someone on the MK team said that everyone missed something in the reveal so who knows, maybe this is it? Good spot! I suppose it is possible. 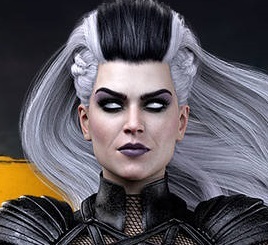 Ed Boon did say all the characters faces were scanned from real people and one of them is a big announcement. It could be. Apparently, fans at the event were being discouraged from shouting "MORTAL KOMBAT" because NRS wants to distance themselves from the movies. Jeff Gerstmann (who was there) mentioned it briefly on today's Giant Bombcast (timestamp at 13:20). I'd take that with a grain of salt, but it's something to consider. Personally, I'd love to see it, especially with the really disappointing portrayal of Shang Tsung in the last couple games. But I have my doubts. If this ends up being the case, you will get full sleuthing credit! I'm glad I'm not the only one who thinks this is who Ed was talking about, I posted the same thought on TRMK the other day. Ed had mentioned Cary last year on twitter so I put two and two together and came up with this, I don't know if it's true or not but it'd be cool if so. What a strange thing to discourage...it’s the name of the game. Guess Kano’s gonna finally drop the accent and shave his head this game, too. BMK was also there chilling with his homie Jeff Gerstmann and can confirm this story. Although this is because of WB Games, not NRS. I sure hope so. I always hated that they did that to him. I wouldn't get my hopes up based on this, since the rest of the video showed them working on a scarred body (Kabal?) but also one of the background Tarkatans with beads around their necks. I would be thrilled, but I wouldn't count on it. To go through that trouble for Shang Tsung, no. I think it must be either for Johnny, Jax or Kano. My guess is Michael Jay White for Jax. Also odd they want to distance themselves from the movie when CLEARLY Goro in MKX was inspired by the movie look. That's strange for NRS to say because the original MK1 advert had the MORTAL KOMBAT! shout before they did it in the movies intro. Maybe they want to distance because it was MIDWAY then? The thing with Cary-Hiroyuki Tagawa is i never liked Shang Tsung being bald, like in MK Legacy 2. If he does play the role he should wear a wig, so he looks like he did in the first MK film. I hope who ever portrays Shang Tsung in MK11 has long hair. It's part of the characters mannerism, whether his hair is receding and grey (MK1) or slick and black. Totally agree - I really disliked the baldness. Definitely has to be MK movie style. Just as long as it's his face and voice! They can scan his face AND add hair. THE FUTURE IS NOW! While the dates and facts would seem to indicate you're correct, I'm assuming it's because at this point, the scream is very closely associated with the Techno Syndrome theme song, and the Techno Syndrome theme song, at the end of the day, is a creation of the movie. BUT, that said, many casual fans don't really realize the theme is associated with the movie, and think it's the theme for the entire franchise. When in fact it isn't. 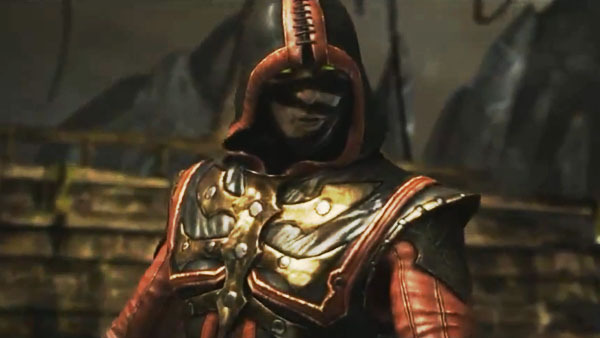 IN FACT... when the original trailer for MK11 launched, it didn't take fans but like... a day, to remix it, removing that horrible rap track they used, and replacing it with techno syndrome, and in point of fact now that I think that through, that might be EXACTLY where this came from. They might have seen the remixes, and then gotten some PR mandate 2 days later saying, "Okay, we need to downplay this" ... they may be deliberately trying to get people to disassociate from that theme song, in an effort to get the new music/theme over with fans. But I hated that track, so... nuts to that. (Also) Not to be fussy but i don't know if Cary-Hiroyuki Tagawa with facial hair would work either, as he is always clean-shaven. If he did get the part this would be contrasting as Shang Tsung has always had the fu manchu goatee in the games. I doubt he would grow a goatee or they'd go through the hassle of adding one graphically. I would love this look for Shang! From a speculation standpoint though, I doubt that is the big face NRS would be talking about. Oddly enough, I don't think he would be big enough. Going from Ronda Rousey reveal to this guy who I didn't even know his name, I just knew him as the guy that played Shang Tsung in that one MK movie would be pretty underwhelming to casuals. I know many people here would consider this huge but I don't think casual is. Granted, this doesn't mean he's not the guy. I am just saying if he is the guy I doubt he is the big name they are pumping up. Rousey name dropped Triple H, I am unsure what character his voice would fit though. Could you imagine Dwayne "The Rock" Johnson as Johnny Cage? I could. Yeh good point - I dont know if he would be the face people would quote "GO NUTS OVER" There are alot of new fans who wouldnt even know who this is now. Has to be someone else more recognizable. I can dream though hehehe. The Rock as Johnny Cage? NO WAY! that would be a terrible choice, The Rock is over exposed right now as it is but he's nothing like Johnny Cage has been in the past. 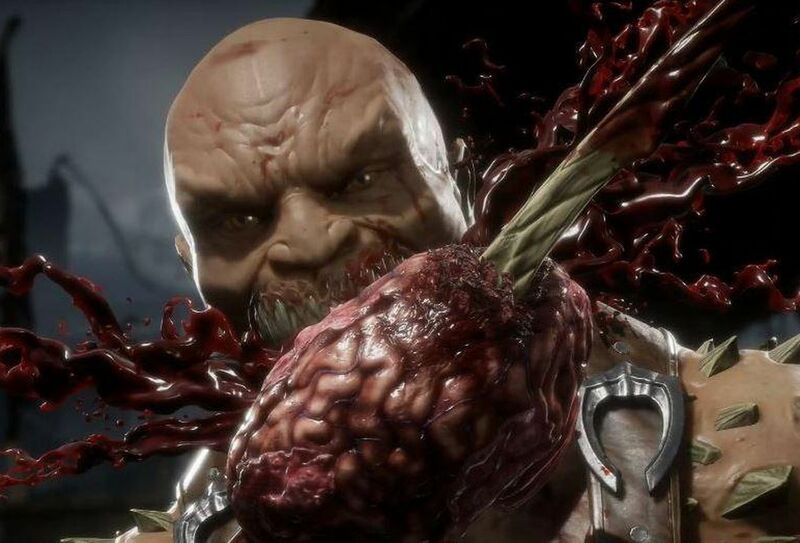 If it is Shang Tsung hopefully they give him hair, bald Shang wouldn't look very good IMO. Because of the way the Deadly Alliance were remembered Shang Tsung may always be associated with Quan Chi near or far, rival or not. So Tagawa would look to much like Quan Chi, except not pale. Quan Chi is the skinhead out of all the sorcerers. Side by side it wouldn't look right (they'd look too alike) as the appearance often reflects personality. The interview done by MKO with Himmerick IMO is a total sign that he may be coming as Shang Tsung. Just look at Himmerick's face when he's asked about someone Christopher Lambert as Raiden. He absolutely wasn't expecting something like that and his "something we could do" was too mysterious. We was an amazing Shang Tsung! If Shang returns, then I hope they have Cary portray him. Even if they don't use his likeness, I hope he'll at least voice Shang Tsung. Anything over that abysmal voice in MK 2011. That forced old man voice was a travesty.